Look, it’s a hamster in Amsterdam – what more do you really need to know? Your humble host backed Hamsterdam on Kickstarter on the strength of its name alone, so feel free to discredit any of the opinions herein. 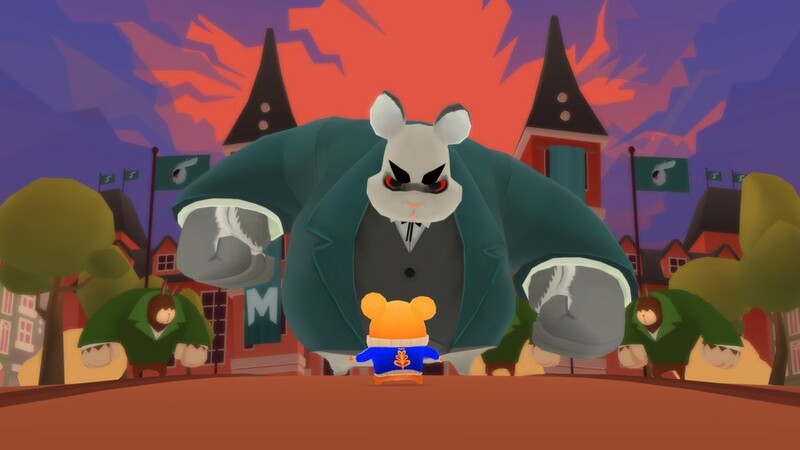 But having spent a good ten minutes with the regal rodent at last week’s EGX Rezzed 2019, we can at least confirm that the action release is coming together. Due out on the PlayStation Vita long after the handheld’s premature demise, it’s perhaps no surprise that Muse Games opted to demo the PC, Nintendo Switch, and iPad builds. As such, we can’t give any concrete answers on controls, but judging by what we saw on the showfloor, we’re guessing you’ll be able to use the PS Vita’s touch screen or face buttons – depending on what you prefer. 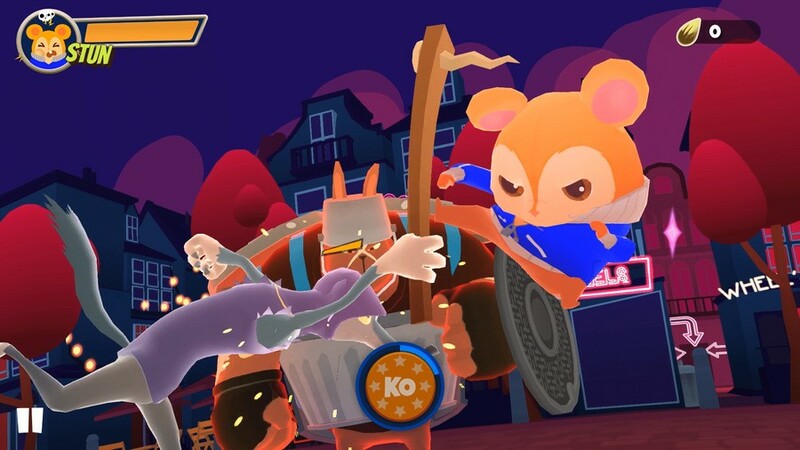 Pimm, as we believe the protagonist is named, is effectively a ninja master – and he’s tasked with doing battle against all sorts of angry animals across Holland’s historic capital. The combat is completely on-rails, so you never have direct control of the colourful lead character – instead, it operates a little like Batman: Arkham Asylum crossed with a rhythm game. As such, you need to slide in the direction of an attacking enemy in order to counter, then you must pound them in a rhythmic fashion to do damage. Timing your moves correctly builds up a KO meter, which you can then use to do devastating damage. Some enemies will trigger flashy QTE sequences, where you’re button matching to fend them away. The gameplay escalates and introduces new elements and challenges over the course of the demo we got to play, giving you a little more to think about than pure counter-attacking. 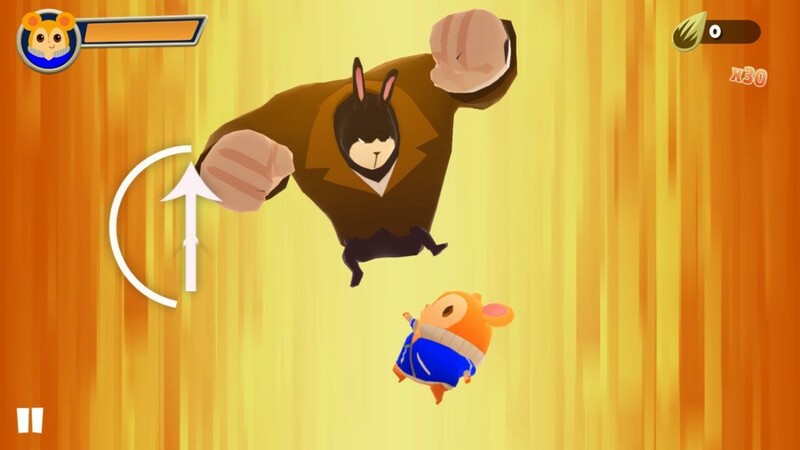 It all culminates in a pattern-based boss fight, where a giant rabbit (?) punches the ground and lobs bombs in your general direction. It’s all very flashy, with lots of nice animations and interesting environmental art. It does feel a little bit like a minigame from a much bigger title, though – like, we could certainly imagine something like this finding its way into a Sly Cooper game on the PlayStation 2 if you get what we mean. But it doesn’t sound like it’ll break the bank, and the Angry Birds-inspired progression structure looks like it’ll serve the title well. There have been worse Kickstarter projects than this, that’s for sure. 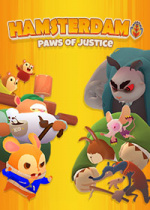 Will you be treating your PS Vita with a trip to Hamsterdam? Swipe your way to victory against irate animals in the comments section below. C'mon! Someone comment on Hamsterdam! I'll buy this on good faith if the Vita port doesn't get cancelled. I quite like the art style of this. Sadly, I don't have a PS Vita, but I hope the game does well enough with those who do have one. Push Square's final PS Vita review? @Turismo4GT Coming to Switch, PC, and iOS too.